Not to sound like some dude with a mullet in 1995 that couldn’t understand why Trixter and Winger couldn’t buy radio play anymore… but that video makes me miss bands that actually rocked out. Schreifels went on to form a band called World’s Fastest Car but that band quickly fizzled out. In the late 1990s there was talk of a Quicksand reunion record and they did do a short tour, but that was the extent of things as far as I know. Shortly afterwards, Shreifels put Rival Schools together. In 2001, Rival Schools released their first full length United by Fate. Here’s the video for “Used for Glue” from that album. Within a year, like Walter’s other bands, Rival Schools was over before it had really started. There were rumors of a follow-up album of b-sides and unreleased songs but as far as I know that never surfaced. A few years later, Shreifels surfaced again pushing a band called the Walking Concert. I’ve only ever heard their one song “What’s Your New Thing.” It’s a huge departure from Rival Schools and Quicksand… I totally dig it though. It sounds more inspired by Matthew Sweet than Youth of Today, but you can still hear some Quicksand and Rival Schools in the guitar work. I’ve always found Walter Schreifels fascinating. Particularly his inability to keep a band together. I’ve wondered if he’s secretly impossible to get along with or crazy or if maybe he just hates other people and can’t tolerate them for very long. I’ve wondered if he has some weird fear of succeeding or something. Or maybe he just has a short attention span. Regardless he’s been in more cool bands than any one person not named Ian MacKaye has the right to be involved with. So what was the point to this exercise? 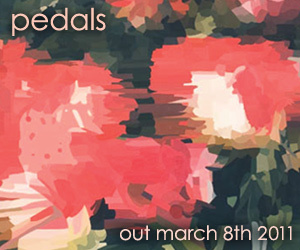 I got to spend an afternoon drowning in some nostalgia… and oh yeah… Ten years later Rival Schools is releasing their sophomore record, Pedals, in March. Plus they have a new website where the following video was originally posted. I’m not sure I love it, but I’m glad it exists.